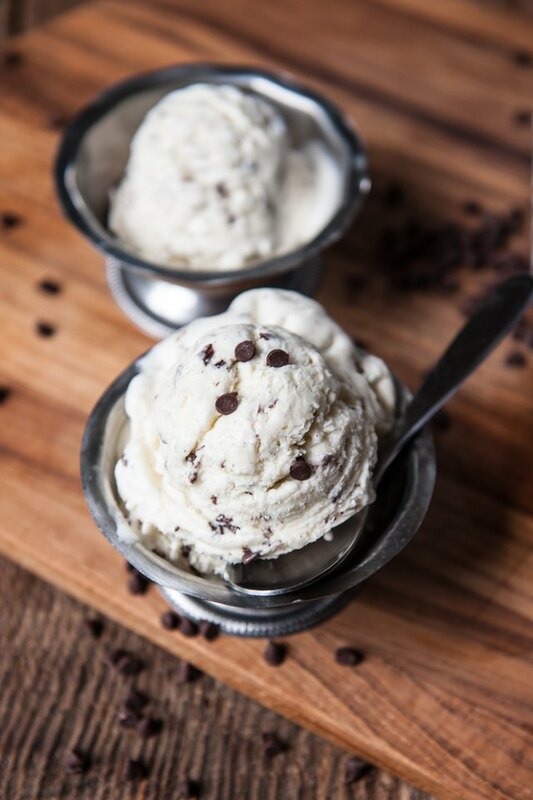 If you only make one homemade ice cream recipe, this should be the one. Sure, there are a few steps involved, but it's easy. It's also a total home run. 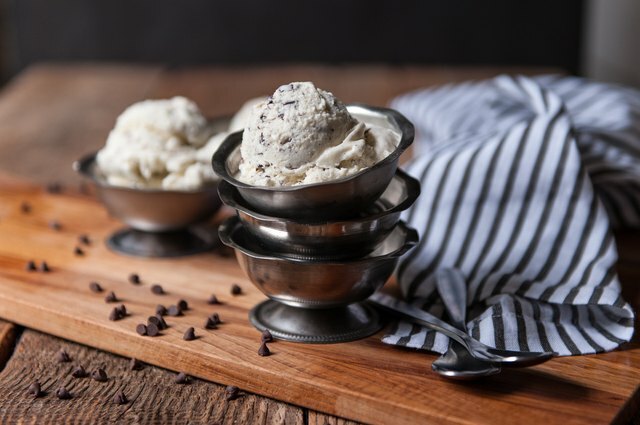 Unlike other flavors, that can be a bit divisive, this is one that will have a loyal following from all the ice cream lovers. 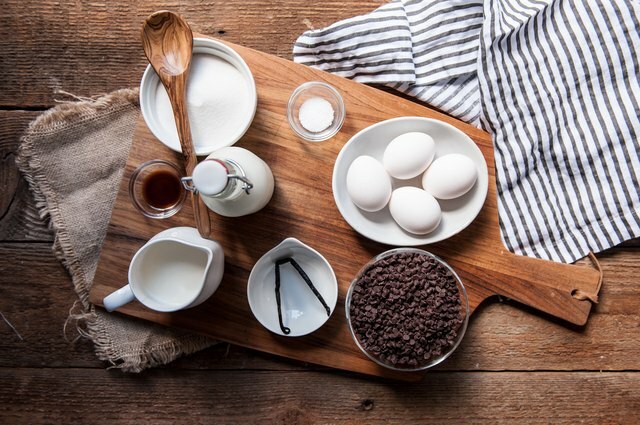 The rich vanilla base, with the swirls of chipped chocolate, make for a dessert that you just can't stop eating. It also makes for the absolute best ice cream sandwiches. You should probably make a double batch. 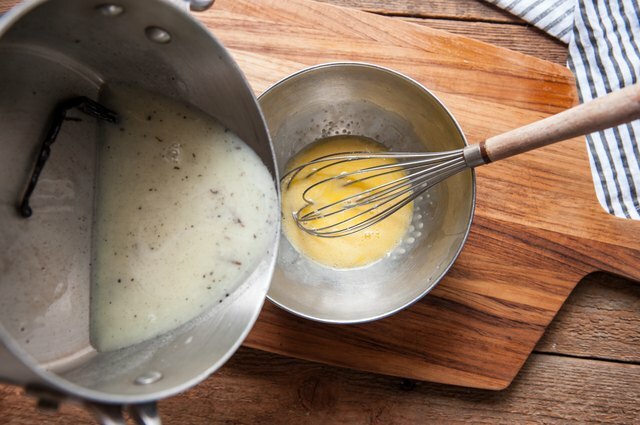 Add the milk, salt, and sugar to a sauce pan. 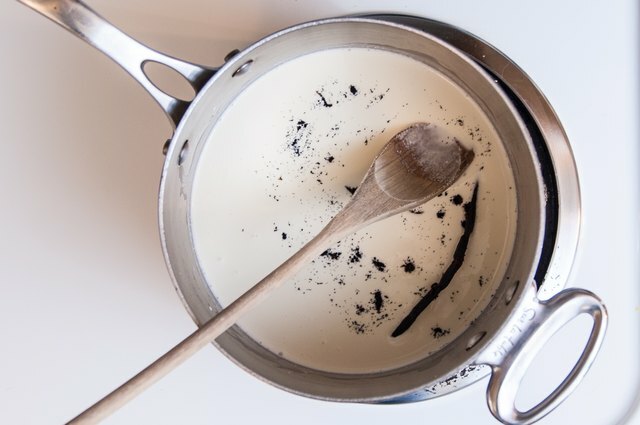 Cut the vanilla bean down the center, lengthwise, scrape out the center and add the pod and scrapings to the pot. Heat over medium high heat until it bubbles around the edges. Remove from heat and allow to infuse at room temperate for one hour. Rewarm the milk over medium heat. 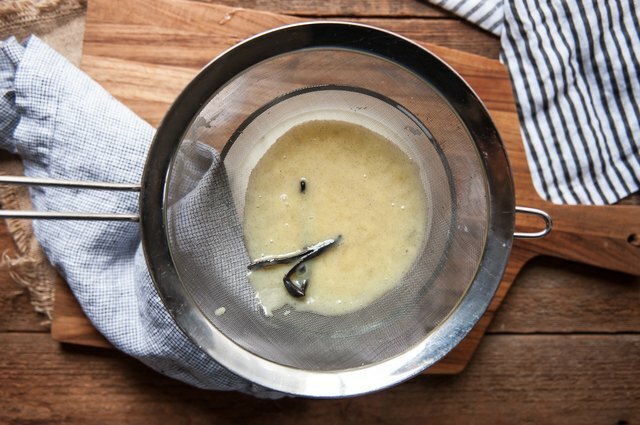 Whisk the egg yolks in a large bowl and slowly whisk the cream into the yolks. 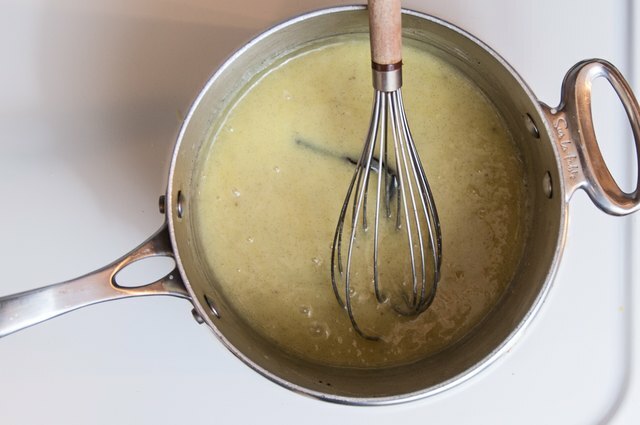 Return to heat, stirring constantly, until the custard has thickened, about 5 minutes. 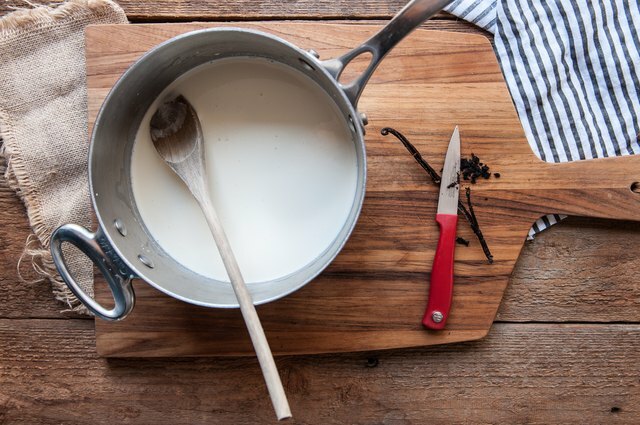 Add the cold cream and vanilla to a storage container. Strain the custard into the cream, stir until well combined. Place in the fridge until chilled, about 3 hours and up to overnight. 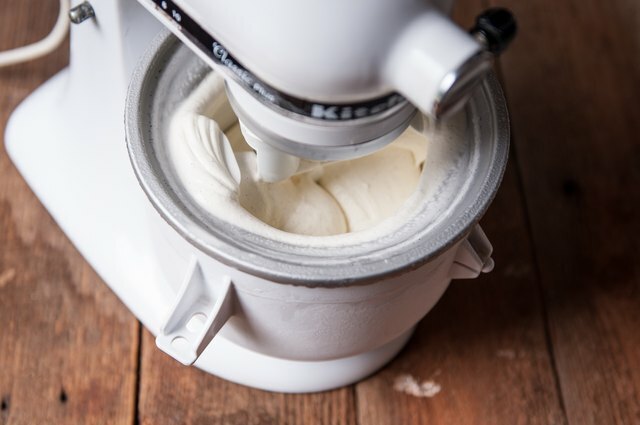 Churn in an ice cream maker according to the manufacturer's specifications. 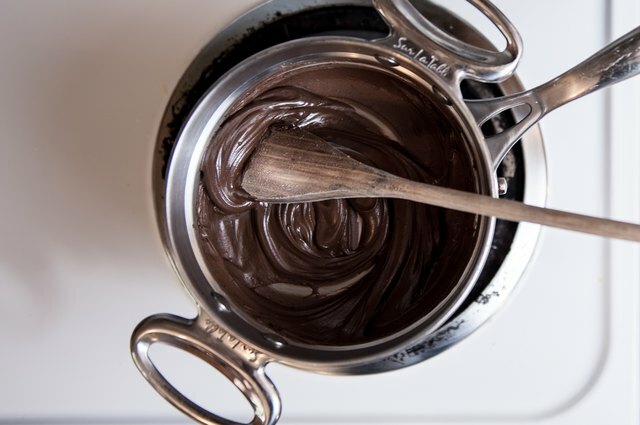 Melt the chocolate in the top of a double boiler over gently simmering water. Add a small layer of ice cream to a storage container. 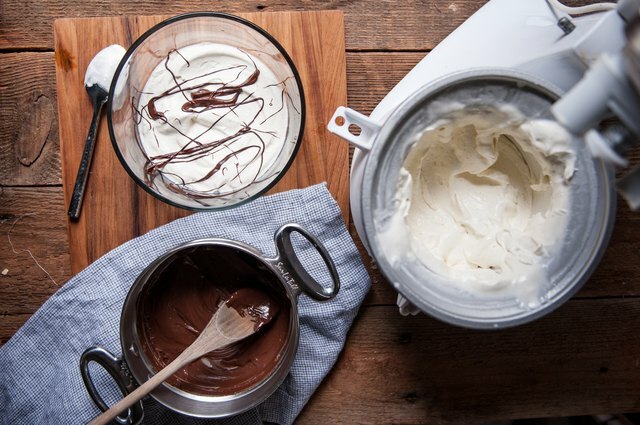 Drizzle with melted chocolate, and then stir to break up. 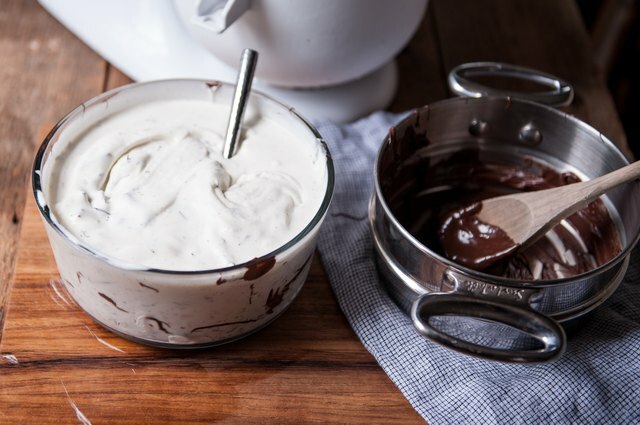 Add a small amount more ice cream, drizzle and stir. Repeat until all the ice cream and chocolate has been used. Cover and add to the freezer until the ice cream is solid, about 3 hours. 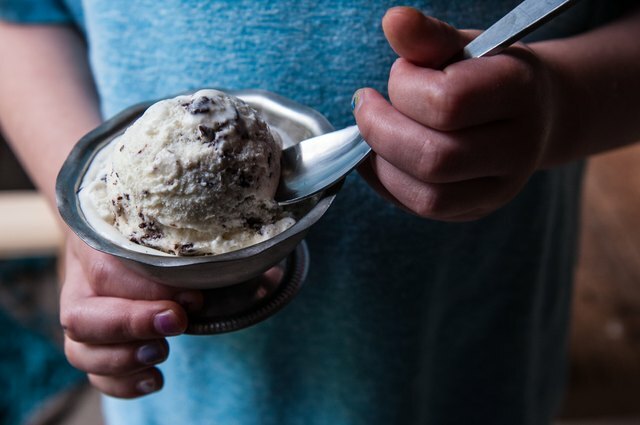 This ice cream will keep for up to a week in the freezer.